Wells Fargo as a company has made a name across the globe for being a banking leader in home loans. Wells Fargo Mortgage loans allows you to buy a home or improve it, refinance mortage loans etc. They give day-to-day mortgage rates 24/7. John G. Stumpf is the current CEO of Wells Fargo, you can email him directly at John.G.Stumpf@wellsfargo.com. If you have a problem, call toll-free 866-249-3302 for the fastest service. Or you can attempt to email the executive management team with your feedback. The corporate offices for Wells Fargo are 420 Montgomery Street San Francisco, CA 94104. You can also direct comments specifically about home loans to Wells Fargo Home Mortgage P.O. Box 10335 Des Moines, IA 50306-0335. For issues related to home equity, try MAC S3837-020 2nd Floor 2222 W Rose Garden Lane Phoenix, AZ 85027-2644"
To whom this may concern, I would like to express my concerns and disbelief in your policies regarding escrow properties tax. Approximately in 2017 I received a letter from the county assessor office stating that I owed property taxes . I how ever was not surprised .due to a check I received in the mail from Wells Fargo approximately 2 months prior to the letter. When I called Wells Fargo I was assured that it was a mistake on your part andI was owed a refund for over payment. I then explained that I had 2 properties 1 for my house and 1 across the street for my water line. The banker that I spoke with guaranteed me it was the banks mistake and the check was mine to keep. After several phone calls about the taxes to Wells Fargo I was told that I in fact did owe the additional money and yes it was an error on Wells Fargos part. I was then told the only way to fix the problem was raise my house payment roughly from 400 to 600 dollars a month. with that said I have had to struggle making the additional payments some have been late but paid. now my credit score is low due to late payments. I have asked for Wells Fargo to remove this reporting from my credit report. I have been told that there is nothing that can be done about this. I have also been told by other Banks that absolutely they can fix it . I would like to know how your company can make such a catastrophic mistake and not allow or offer an extended payment option. But in fact demand additional monies to my mortgage for a mistake that you made, but sadly can not remove over 30 day late payment on my credit report. I would like an explanation as to why you can not do the right thing in this situation. Further more every representative that I spoke with has told me something different on your policies. Are you a company that prides your self on taking advantage of your customers? Are you going to have better training for this sort of situation for the future? . I refinanced with Wells Fargo in 2006 and I have had Insurance with Met Life since I purchased the house in 1994. But for some reason Wells Fargo has said I didn't have insurance and that they would take out insurance on the loan. In 2006 I sent documentations of all sort to Wells Fargo for proof of Insurance and yet they continued to say I did not have any insurance. They have been taking out insurance for the duration of the loan until a tree fell into my house back in July of this year. After I filed a claim with Met-Life my insurance Investigator(Audrey Cerf) found out that I was paying two insurance companies. I explained to Audrey what was going on and she got it straighten out were they discontinued the withdrawal of insurance. They refunded to Met-Life the money that they had taken out for insurance from me this year without notifying me. I have contacted Wells Fargo Insurance 4 times since early November of this year about refunding me the money they took out from 2006 to 2018 and I get a different person every time. Each person has put me on three-way with Met-Life about sending documentation to confirm I had insurance with Met-Life all along. Met-Life says they have sent the information and Wells Fargo say they have not received it. Today I tried to explain the my situation and the young Lady hung up on me. All I want from Wells Fargo is my money back and yet the only thing I am getting is the run around. I paid my payments and money in good faith and now I am getting treated like crap. This situation should have never gotten to this point, all Wells Fargo had to do was confirm that I had insurance which I have had all along and have not miss any payments. On 6/26 I began an application for a home equity line of credit. I wanted to ensure I had a point of contact so while I had reached out previously online to inquire about a refinance option, I opted to use my local bank so I would have active communication. I was working with one of your associates, Jason D Meiwes that left the company during the process. Several weeks went past before anyone reached out to me to inform me of this change. Adam J. McMahon called me to inform me of the changes and that he would be helping me through the process. He informed me there were documents needed but refused to email them to me since I was at work when I took the call. He asked when I would be off work and he would call me after that time. The phone never rang. I went to the bank the following day to meet with him where he printed a list of the items and told me to use the myloantrackerSM to upload. I asked about "neg am" and what I needed to satisfy this and he didn't know what it was. He called the banker but "got voicemail" so I had to look it up on the internet while I was with him. Once he read what it was he stated to provide my last mortgage statement. I left and gathered the documents. The next day, I went to upload the documents only to find out that "myloantrackerSM" was not available to me. On my way to find a fax machine, I checked my regular mail stating I had until 7/15/18 to provide the documentation or the loan application would be cancelled. The date was 7/13. I called the Mortgage division and spoke with an associate who provided her ID number. She was helpful and was able to provide insight and stated she would make a note in my file. I asked how to get the information over because the fax number given in the letter I received did not work. She informed me that "myloantrackerSM" would only be available after the review had been complete. She provided a second fax. She also explained that Kevin Phan(?) would be calling me no later than Tuesday of this week. I called and left a message with an associate at the branch to have Adam call me. He never called. I left town for work on Monday and never received a call from any Wells Fargo associate. Today I went into the bank to try to find answers to the status of my equity line of credit application. The result was an undervalued appraisal for my home and a declined application. I never received the appraisal from Wells until I went to collect it today. The appraisal stated my home was valued at 489,000. Having just refinanced the home in December, the number seemed quite low since the value of that appraisal was much higher and the current appraisal suggested the market was increasing. When I questioned the value, I was told this was an "official report" with pictures and comparable homes sold. Upon examination of the report, I see that my home is being compared to homes that are between 6 and 8 years older. There are more discrepancies as well. It is quite unfornutate that this has occurred because it has forced me to look elsewhere for my banking needs. I will be pursing this further so there is no need to reach out to me. If someone took the time to get to know me as a long term customer, you might have been able to salvage my business. However, now I am more interested in figuring out was has actually taken place (i.e., poor communication, no "paper trail" with correspondence, no phone calls, and under valued appraisal but fees. Kathy S. Eddleman, Ph. D.
On 9/11/2016 I made a mortgage payment to Wells Fargo for my monthly mortgage due online payment as I normally do. I received the confirmation after the transaction was completed. I then made a payment on my Wells Fargo credit card and also received a confirmation after my transaction was again completed. In less than 24 hours Wells Fargo attempted to process another mortgage payment out of my account causing me an insufficient fund amount of 38.50 which automatically came out of my primary bank account . I went to the my local Wells Fargo Branch to show documentation that my payment had all ready been paid and taken out of my account . I informed them that an error had been made on their side of the processing system. The branch then called Wells Fargo mortgage to see if the issue could be resolved and the insufficient funds be returned to me. The mortgage company insisted that I had set up a auto pay for the very next day ( which I did not do nor did I ever set up!) they said there was nothing they could do at this time so I had to pay the insufficient penalty because "their system never makes such mistakes". This whole time I am making them aware that the payment was already made. The branch Manager informed me that there was nothing they could help me again. In the meantime I now have accumulated late payment fees of $15.00 on a mortgage payment that was paid on time. As well as a total of $115.50 insufficient fund charges made to my primary Bank account. Wells Fargo mortgage will still not look into what may have happened in error nor do they intend on reimbursing me any of the funds charged . This caused me much stress and frustration running from my primary bank branch to the Wells Fargo branch after having major surgery and having no choice but to drive to the branch because when I called I received no return call nor did I get any resolution. I truly wish I could change mortgage companies because now I have to walk into the Wells Fargo Branch every month to make my payments because I don't trust them to do the right thing in any circumstance. The company logo must be never admit when your wrong. They honestly need to get out of the mortgage sector. When we purchased our ranch in Acton in March, I found out I was placed with them through the lender. I expressed I did not want to be with Wells Fargo because they are so incompetent. Part of the loan to get the best rate meant having a wells account. Two months in they placed a deposit in somebody's account. For anybody who has Wells Fargo. When depositing a check. Make them cash it and then deposit it. Otherwise they hold a major portion of the funds for days before you have access to it. I carry many times mutable of any check I deposit. I figured this out when I did a recent deposit and questioned why they were withholding funds. I can't wait until my refi has funded and I close the only account I have there. At that time I will be posting everything in an open letter including the mortgage company I did my refi with. No cost an 1/2 a point lower. On 25 July 2016, as part of a re-mortgage process, I submitted a Cashiers Check made out to Wells Fargo Mortgage in the amount of $400.00 for the purpose of a Dwelling Appraisal to Wells Fargo Mortgage. Agent processing my application is Mr. Eric Lake. On 11 August 2016, I emailed a Ms. Amber Testa, CC Mr. Lake withdrawing my application for a mortgage refinance. At no time was an appraisal conducted, nor at anytime had I had contact with any appraiser. I have on numerous occasions requested from Mr. Lake that the check for the appraisal be returned, the last being 26 August 2016, and was informed by Mr. Lake that such would be the case. My bank as of today 31 August has informed me the check was cashed out on 29 July 2016. Your assistance is required in the return of funds and in bringing this matter to an internal close beneficial to all parties involved. I began the process of a home equity line of credit on June 20, 2016. I was told by Adam Gamboa and James Coca of Wells Fargo in Ft. Collins, CO North College location that I should be approved in 4-6 weeks. I applied for a loan to close on property almost 8 weeks away from June 20. This was to be a short term loan as my tax situation dictated. I was a Wachovia customer since 1992 and then Wells Fargo since 2008 after the purchase of Wachovia. Jennifer R Houck was the person assigned to my loan. She made the initial contact by phone and left a voicemail for me. I returned her call and left a voice mail for her. She did not return my call. She is a poor communicator. I emailed her and left voicemails for her on July 11, 2016 and July 22, 2016 asking her to call me. She did not answer my emails or return my phone calls. Instead I received nebulous emails about updating me but no information that pertained to my personal situation. These were obviously emails as a corporate policy to convey updates but failed to have any meaningful communication. I emailed and left a voicemail yesterday and surprisingly she finally returned a call. During our conversation she did not even know the original application date (listen to our recorded conversation). I informed her that the loan could not be obtained by the time I close. She agreed with my assumption. I told her I had communicated this to her in a July 22, 2016 email and a voicemail to call me. She was unaware of my predicament because she never communicated with me in a meaningful way. All she could offer me was to cancel the application. I informed her of how frustrating the process has been. No local control or appropriate communication along the way from her. I had no one to communicate with as the local agents ( Jim and Adam) were unable to help and she never answered my inquiries. Yes, I was upset and told her I was done with Wells Fargo. I did not use offensive language. She said she would cancel the application and hung up the phone. She never took responsibility for not communicating with me in a timely fashion and was uninterested in my personal situation. I have been extremely disappointed in this process with Wells Fargo. I received all sorts of interest when I had 750,000 in my Money Market account when I moved from Charlotte to Ft. Collins upon my retirement but when I needed Wells Fargo help you failed me as a long term customer. I can't recommend Wells Fargo to anyone. I had an option to use a local bank for my home equity loan but I chose Wells as I have been a long term customer and Adam told me there should be no problem in meeting my timeline for loan approval. Terrible customer service with no one accountable. I have had a checking, savings, and business with two savings accounts connected to the business account for approximately 4 years. I have used online banking for all of those years. My computer works great for everything I do including complex programs as autocad and quick books. But Wells fargo has has decided my software is too old and I have to spend $300 to upgrade to do online banking. I have an account with one other bank and my online banking works fine there. I had surgery 10 days ago and checked my account two days before that without a problem. I will be out of work for 6 weeks to two months with no income who is going to pay to upgrade my perfectly well working computer that should be able to access my account. This is frustrating and infuriating. I cannot drive to the bank I have to rely on someone elses generousity for a ride. To up grade my computer with no income I still have a mortgage and an ungodly amount of medical bills, electric, food, heat, ect. If you want to make these changes you should cover the cost of using the system. I should not need a new computer to access my account. I do not need one anywhere else I use it for. I am writing you in regards to the sloppy banking I am receiving at Wells Fargo. First, no one has called me back whom said they would contact me back from the bank. Second as usual the transfer I made to the Escrow account of my mortgage was again improperly applied, it was applied to the principal instead, and the figures for the escrow Analyses has never changed, after it took almost an act of congress to get a new analysis. As always, Nothing is ever applied properly in the mortgage dept. this is why I quit making extra payments!!! This is a ongoing problem that has persisted for a few years I know in the Mortgage Dept. I have complained numerous times, to NO avail, and nothing is ever done to fix the issues. The personnel seems to be very complacent and not interested in fixing these issues, are they would have been fixed a few years ago. So, with this letter I am informing you that over the next few months I am removing every account I have at Wells Fargo. Together we are not going anywhere!! It will take some time, but can be done. I will be looking for another Mortgage company also, and will have no problem financing my mortgage elsewhere. I don’t like being lied to by anyone. I will in the coming days explore a complaint to the Federal Trade commission, FHA, and the State of Alabama about the Mortgage departments failure to apply funds to proper accounts. Wells Fargo has been the most untrustworthy of Banks I have ever done business with in my life time. Wells Fargo is also in breach of my mortgage contract. I am tired of Wells Fargo telling me how much they appreciate my business, when I don’t feel that Wells Fargo appreciates me are my families business at the bank, are cares whether we are there are not. I can no longer trust this institution to properly handle the business that I do with them, and will start my transition this coming week to another institution. This will of course take time but will start immediately. I got a card at my wells fargo branch to contact Home Mortgage Consultant Z6071-010 in regard to how to apply for a home mortgage. I called him right away and the phone not even rang. I had a voice mail, I left a voice mail with my contact information and reason of my phone call, after like 3 ours I called him again and left another message. He did not answer. In the afternoon like round 5.00 pm I called him again and finally he answered. He was everything except professional, I answered his question and it seems like he was doing something else cause he went back to the same question even more than 2 times. He was distract and not paying attention to my queries and he was using a rude and unprofessional way of speaking all the time. I was very disappointed with his service actually I will try to contact a mortgage consultant somewhere else! My step son Ashley Battle who lives in Macon Georgia has been trying to purchase a foreclosed house in Juliette Georgia. I've co signed a loan with him and are having major problems with David Boyd one of your employees who is supposed to be helping him. The problem with Mr. BOYD is his very poor customer service practices. Which Is a direct reflection on Wells Fargo. David has thrown up one road block after enougher. Ashley has bent over backwards with everything to get in the house! He was supposed to be closed and in the house tomorrow March 4th but David is once again dragging his feet. Could you please rectify this situation today, so they can get in the house. Please advise to what can be done today. I have been a member of Wells Fargo Bank since 2011. I enjoy the benefit of your many bank centers throughout the community. I do not possess significant financial assets but I have been a steady, consistent and efficient customer. There have been very few overdrafts that were not covered within the funds in my other accounts and overall I have endeavored to be a good customer. As a means of improving my credit status,so I could qualify for needed financial assistance I applied for a secured credit card and a personal loan to cover a very necessary medical procedure. I was denied both applications, despite stable employment ( school principal for 19 years), low debt load and confirming over $8000 p/month in secured income, but was still rejected. My complaint is that the bank does not help every day consumers who have stability but minimum financial assets or high credit scores. I really needed assistance with re-establishing my credit with the credit card and the medical procedure that was - and still is - vital to my health. I did not apply for a needed car loan, mortgage re-modification or small business loan because I knew I would be denied. The bank did not help me at all and I am considering closing my account and returning to the local school credit union. I applied for an automobile loan on a 2004 Ford Focus Station Wagon with 28,910 original miles. The sale was to be from an estate auction. Your company ran my credit score and knocked it down 61 points in the process. I told the loan officer that I lived in Spruce Head, Maine 04859 and was advised that the loan application could be sent to me overnight and was approved. I didn't hear anything after two days and called to inquire why the application had not been sent and was then told that it could not be sent by mail.and that yes the loan was approved but I had to go 3 states over to Connecticut to sign for it In the mean time I lost 200.00 that I put down to hold the vehicle while I sought financing. I then called back and talked to another loan officer who told me the same thing, I waited two days and still nothing and then called back and was told that the other two loan officers that I talked to didn't know what they were doing. I am respectfully requesting that you contact the Credit Bureaus and undo the damage you have done to my credit score and refund me the 200.00 deposit I lost in the transaction so I can obtain a loan with someone who has an office in the state of Maine. You do have two mortgage consultants in Damariscotta, Maine which is about an hour from here but I was told they could not do the paperwork with me because they are not bankers. I have been advised that I should make a complaint with the BBB but figured I would give you the benefit of the doubt and a chance to resolve this. I have repeatedly tried to work with Jacqueline Shaun Kounkel at Private Mortgage Banking located at 9350 E Arapahoe, Greenwood Village, CO 80112. Jacqueline is an incredibly offensive woman that shows no interest in answering any question regarding the loan process after she collects money for the interst lock payment. I have been a business owner in Colorado since 1993. I have worked with Well Fargo for all of these years and now am considering taking my business else where. My business name is Kennedy Construction Inc. When it comes to a persons attitude you know when your being disregard and disrespect. Approximately, 5 months ago I opened a Wells Fargo checking and a savings account. At the time, I was informed that since my home loan/mortgage and direct deposit payroll checks were affiliated with Wells Fargo Bank the monthly PMA Fee would be waived. Periodically the PMA Fee of $30 is charged to my account. I have spoken to Edmund and the Vice President Mr. Solozae solozae@wellsfargo.com on numerous occasions as well as other staff members at the San Mateo branch regarding this matter. They assured me that the error would be corrected. No one at bank is able to offer a rational explanation as to how the money is credited back to my account as it does not appear on my statement. I recently e-mail both requesting further assistance with this ongoing matter. They have not replied to my e-mails. Thank you in advance for your support in addressing this problem. I have a Wells Fargo Mortgage, Savings Account and Checking Account. Until I moved to Rockport Texas I was able to access both my savings and my checking accounts using my ATM card at my local branch. The drive-up Bank ATM Machine in Rockport will not allow me to access my Savings account to make transfers without going into the branch during branch hours. My online services limits the number of transfers I am allowed to make per month. At times I make multiple transfers throughout the month and the limit of how many I can perform on line is most inconvenient. I would normally be allowed to make as many transfers as I wish from local ATM but without access to my savings outside of business hours I am handcuffed. Therefore I am limited to bank hours for transactions when I work miles down the road. I was under the impression that ATM machines were for the convenience of customers. My local branch's solution was I would have to go into the bank during business hours. In my case, this is not always possible because of travel for work and temporarily for medical reasons. The inconvenience of my banking services leaves me with a desire to source another another bank for all services after over 19 and a half years. What can we do to remedy this scenario to keep me from changing? We were declined for a mortgage modification by Wells Fargo Home Mortgage (WFHM) (even though I understand they received something on the order of $50 Billion of taxpayers' money for this purpose) so we just refinanced to a lower rate. We were glad to get away from WFHM but the mortgage got sold back to them. WFHM then increased our payments in short order, citing a need for increased impounds. After a snit over a payment in the old amount, the VA made Wells Fargo Home Mortgage reduce the payment amount. They've increased it again. We get cut off from their email notification system which is followed by another payment increase and an attempt to reposes our home (even though we never make a late payment). We complained to the BBB and now we get several calls a month from this very effeminate sounding male at (800) 853-8516 x46737. In the past, we'd get calls after hours, weekends, etc. We've asked them not to do that to no avail. We just let the calls go to voice mail now and we keep a close eye on WFHM until we can refinance again and get away from them. Maybe someone else will benefit from this contact. We hope so. Good luck! Twice we have been through the process to refinance our mortgage with Wells Fargo for which we are paying 7.25% for the last 13+ years. Twice we have been turned down which has led to considerable expense with House valuation surveys etc. The Wells Fargo staff are aggressive almost to the point of threatening with ridiculous deadlines being sent out. We can only assume they are paid on a commission basis which encourages this bad behavior. We feel Wells Fargo are in Bad Practice and obviously are to large a company to care about their smaller customers. We have sent a number of e mails to the individuals who handled our application since it was turned down with only a very short curt letter, neither of them have replied. I have their names but will keep them on file and not place them in this letter. We doubt that this will lead to any reply from Wells Fargo as nothing has done so far. Extremely disappointed in them. On Monday, 6/29, I called Wells Fargo Hm Mtg. to inquire about a payment made to the Equity Line for the month of June that had not been credited to (the account # had been used for years). After being transferred to 7 different representatives, and on the phone for 1-hour and 9 minutes, I spoke to a person named Chris who stated that my payment was late and as of the next day, 6/30/15, I would have a 60 day late, stating that the account had reached the end of the "draw period" and the $350.00 paid monthly persistently, for years was underpaid the following months of 2015 and payment should have reflected as follows: March $516.80, April $489.04, May 514.84, and June $514.72, which caused the account to get a 30 day late. I explained to Chris that no correspondence had been received by mail, e-mail, or phone. Chris made as though he had contacted me, and I reminded him that I called as a concerned customer tracking my on-line account and not seeing the payment deducted for $350 for the month of 6/2015 that was mailed certified mail. I further explained that I was assuring that I would not get a 30 day late and would make the payment by phone. Chris then informed me that the payment for the month of June would be $958.20 to make up for the increase for the past 3-months and the June payment. The payment was made via phone with a confirmation #. We are completely unhappy with the customer service (1) each payment was made for continued payments for $350 for the months in questions, (2) each payment of $350 was applied and/or credited to the account for years, (3) there was no communication from Wells Fargo, and when asked Chris to send me the letter referencing the end of "draw period" to my e-mail, fax, or mail, he said he "could not". I asked for a supervisor/manager, he did not put neither on the phone. Wells Fargo have our personal demographics and could not cooperate sending the information to us to confirm correspondence had been made to our attention of a change in payment. I asked Chris for the new account and reminded him again that I called and he did not call me, as he continued to make as though he had contacted me. I said to Chris, that it was obvious why the $350 payment that was mailed was not credited to the account, due to another account #; yet the previous months the payments were credited. If the previous payments for the months of March, April, and May had been credited, why was there a 30 day late; that was a source of payment and Wells Fargo cashed and accepted without returning the checks to us. The balance of each month was paid on 6/29/15 in the amount of $958.20, when brought to my attention. We are asking that our credit be "restored" without a 30 day late. As a concerned customer, we make every effort to assure that the payments do not have a 30 day late until most recently the "non-communication" caused an unnecessary problem. Needless to say, we were not happy with the customer service and the wait time. We will be awaiting a response. My husband has been trying to get a modification to his home loan due to unemployment. He has submitted all the required documents, once he send those documents back he receives another notice saying he needs this or that. Your company received money from the federal government during the bailout; however Wells Fargo corporate is making it very difficult for the customer to receive that same bailout. I'm embarrassed by the level of support he has received from your company. I would actually rate their service as negative stars - I have both a traditional and roth ira set up - back in January of 2015 my new financial advisor began the process of moving both accounts over to a new platform. After several rejected distribution requests with lack of any information as to what was wrong on the forms, my advisor and I called First Clearing who is the holder of the money. They cannot talk to the account holder - only the financial advisor? What...is this not my money. So, the lady at First Clearing told my advisor that he had the wrong boxes check, we re-submitted all of the forms again (4th time) and it was still denied because we didn't specify "full distribution" or "partial distribution" of funds which the lady never specified - AND I only found that out when I called Wells Fargo. I spoke to Brad on 5/7/15 - he told me he had to review my notes and paperwork submitted before he could help me. This was after I was on hold waiting for a representative for almost 40 minutes. Brad assured me he would call me that afternoon with an update. When I still did not hear back from Brad I called back on 5/13/15 - at that time Kevin traded all of my assets, advised the accounts would settle in 3 days and the checks would arrive to me in 7-10 business days. After day 10 and no checks I called back again - spoke to Steven. He told me they still had my money because I never submitted a distribution form for the accounts - keep in mind Kevin never informed me of that. Steven apologized and said that Kevin was new and probably didn't know to ask for them. What? You put a rep on the phone who can trade all of my accounts and doesn't know he needs that? Wow! So, Steven sent me the forms, I completed them and sent them back. I checked on the status a bit later and my response from Steven was "The forms are being processed by the back office IRA team and they will be sending your checks out to you upon completion." Completely unacceptable - after all of the crap I have gone through I want to know when the checks are being sent so I can track them. Then I called back for a manager - they are all in meetings.....NEVER NEVER do business with WellsFargo - horrible service. This is my money and 6 months later I may get the checks? I have/had a condo in Delray Beach Florida. Do I still own it? I do not know as Wells Fargo representatives change weekly, and I can never get the same individual to assist me with inquiries. Palm Beach Property records still show me as the owner. In February 2014, I began the process for a short sale of the condo I own which had/has a first and second mortgage with Wells Fargo. Total mortgages were $118K. Short sale was for $55K (cash buyer). The realtor, and short sale attorney both were in Florida and were never able to meet Wells Fargo's demands and always had yet another document request which I, living in NY, met in a timely manner (within 24 hours of every request). Wells Fargo refuses to do business via email and that includes contact with the representatives of record. Additionally I had a tenant from hell who refused to let the bank officials in for an inspection and the short sale fell through in the 12th hour! After that 6 months of jumping through hoops Wells Fargo served me with foreclosure papers in July of 2014. I filed bankruptcy in August of 2014; Debts were discharged in November 2014...The tenant left in September, changing the locks on me. I have repeatedly asked Wells Fargo to take the condo as I am not prepared to renegotiate any loans, and I have effectively (I thought) walked away from the property. I'm in limbo and have no idea what to do? I have been a loyal WellsFargo Customer for over 17 Years. I've trusted WellsFargo with all my and my families banking needs. Recently, I had received numerous offers such as, new Vehicle financing and refinancing, Home Mortgage refinancing and a Personal Loan. After being solicited for these services EVERY TIME I contacted the bank for normal banking issues, I finally decided after being offered again and again to apply for a Personal Loan to consolidate ALL my higher interest credit card debt. I applied for the loan on 4/9/15 and was Conditionally Approved needing some additional verification which I immediately supplied. But you can never speak to the same person twice! I spoken with several Loan Officers and one Department Manger throughout the country during this process and they all seen nothing wrong with my application or credit report. The Credit Department or underwriters requested proof of income, so I immediately provided my W-2s, my pay stubs and my USMC Retirement Pay Statement. After 4 days and numerous calls and 10 different people, I was informed this morning by email that they were unable to approve my loan at this time, after conditionally approving it on Thursday. Now I understand I'm just one person in a long line of people applying for a loan however, I am extremely displeased with WellsFargo especially having been solicited by mail, email and on the phone about being Pre-approved for numerous offers from WellsFargo because of my Great Credit. As stated I have trusted WellsFargo with my Banking Needs, I Trusted WellsFargo twice when purchasing my Vehicles, homes and didn't even shop around. I have also advised my son, daughter and friends to trust WellsFargo to handle their Banking needs however, that's because I've never actually considered a personal loan until now. I pay my bills on time, I have now nor ever had a problem paying my bills. However, what I do have a problem with is being solicited over and over again on the different programs WellsFargo had to offer me, because I was in their own opinion a valued and trusted customer. I wish someone from the corporate office would look into the practices and issue employed by their incompetent underwriting department and please tell me why I, my family or friends should continue trusting WellsFargo with our future finical needs. Because once you attempt to use the offers your supposedly pre-qualified for, they to inform you after dragging you around for 4 days that they're temporally unable to approve your loan. In closing, I have been a loyal WellsFargo Customer for over 17 years and a 31 year retired United States Marine Corps veteran who understands what serving his Country and Community means. Disapprovals without prior communication appears common practice with WellsFargo. I honestly believe the underwriters should speak directly with the applicant before making an ill informed decision because they're to busy not doing their job. On a Great note, my other bank USAA has approved my loan within 30 second without the hassle and deception even with a much lower rate and the same amount without giving me the run around. This I am positive of, no one from wellsfargo will have the fortitude to reply to this email and if by chance they may simple respond to this and I'll respond to them. Wells Fargo covered up bank errors by twice writing false statements about my wife. This is the letter they should have written: Dear Mr. Istel: Owing to an error in our "fraud alert" system, we failed to pay your check #5749 of 10 May 2012 to Walmart. There followed a series of mistakes by our bank which most unfortunately caused you considerable harassment a week after a heart operation, waste of your time, waste of money and the highly unfair misery of dealing with a collection agency. All this occurred despite your perfectly good check, your 800 credit rating and decades as our good client. We apologize. Our errors included: 1. Telephoning â Mrs.I. 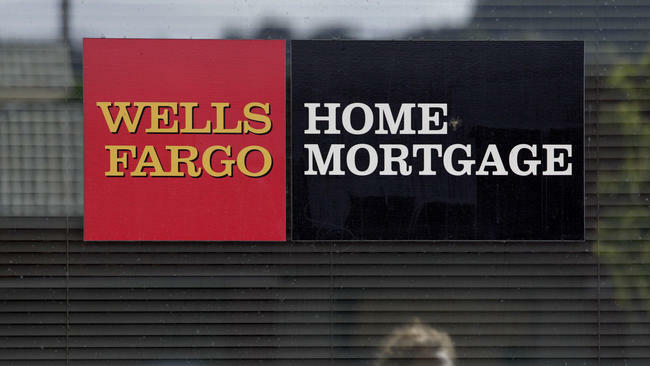 â for confirmation and only stating that Wells Fargo was asking for private information. Suspecting a scam, Mrs. I. correctly hung up. Our failure to immediately provide positive identification is inexcusable. We apologize. 2. We failed to follow up by contacting your Wells Fargo personal banker who would have instantly sorted out the matter. We apologize. 3. We failed to review your record of payments which would have revealed that the fraud alert was erroneous. We are embarrassed that you were told that the fraud alert was caused by a large payment when a six month review of your payments through 30 September 2012 showed that 30.23% of the checks written on the same account were for greater amounts than check #5749. And since your name appears at the top of the check, we could have contacted you. We are aware of the description of Wells Fargo's behavior by Judge Elizabeth Magner as "highly reprehensible" and are now determined to behave well. We understand that we inadvertently damaged the editing of the now completed granite "History of the United States of America". After seeing the Museum of History in Granite via âhistoryingranite.orgâ, we agree with the praise of a Supreme Court Justice, two Commandants of the Marine Corps and the President of Princeton University whose letters you have. Since you do not ask for moneys for yourself, we enclose our small tax-deductible check for the project in full settlement of the incident, and hope that you will remain our client. Sincerely, Wells Fargo Actual action by Wells Fargo: Twice stating falsely in writing that "Mrs.I." could not identify the check. Within the last 6 months, we have had two bill pay payments taken out of our account $600 and $1200 with a five day delivery date (Wells Fargo takes bill pay money out of your account when you schedule the payment, not when the check has cleared the bank). The $600 was never received by the payee after 90 days. We were never made aware of this until our creditor contacted us saying we were behind in our payments. The $1200 incident happened approximately 3 months after. This time the bill pay payment was going out to our father. He contacted us a few days after expecting his money saying he never got his check. I am convinced that Wells Fargo was successful in using $600 of our money for 90 days with no repercussion that they decided to try it with a larger sum of money. Can you imagine how they could save some interest and improve balance sheet numbers? Iâd like to add that we have been a customer of theirs for five years and have never had this problem before â ever! I'm wondering if anyone else has had this experience. I initially requested an equity home loan, provided all the necessary information, sent several package of information, general in nature, Jeremy Gardner was handling the case, spoke to him on the phone twice, he did not see anything troublsome about my loan, I mentioned I needed to clos on it by mid September in order to gain a 15% reduction in a timeshare loan amounting to a savings of $1200.00, this loan was to consolidate all my current debt, Bank America, Chase and Visa accounts. A snag came into the picture that he needed an Award letter from Ameriprise for an inherited annunity from my deceased husbanded, which I handed this information to my advisor and they communicated. Two weeks pass, no update, I call Mr Gardner, several times no return on any of the calls or e-mails, in the meantime serveral packette arrive asking for additional information on pay stub, tax etc, which I had already provided, I finally connect with Michelle Lucas, I have left her several messages because she asked for a copy of deceased husband death cert. (Tom died 6 years ago, and I refinanced in Feb to pay payments 2x per month to pay down my mortgage. Today I attempted to see the results of my sending the death cert by fax, from my local bank, it seems someone left a message on a desk phone at Delta Airlines that I was denined the loan, NOT called on my cell, like I had requested. This is a direct invasion of my privacy. How rude not to call me, just leave a message that a co-worker could pick up. I have been tossed around today to the point I am so discusted with Wells Fargo I could spit tacks, I remain at the mercy to call me on my cell and as of 25 minutes ago, he has not. I tried calling my local bank in Prior Lake, and they tell me there is nothing they can do, then WHO can help, I was never given the oportunity to see if this award letter had been processed by Ameriprise, trust me there is plenty of value, I could fax a copy of my statement if this could help. I had brought it into the Prior Lake office on Friday, but the girl (Bashla) made no attempt to make a copy of it, also she was apologetic, sorries do not help at this point. I need someone who can actually help me. Wells Fargo cannot be trusted with your money, as it doesn't let you use it entirely too often. I'm lazy. I'm not alone or more people would use credit unions, which I'm about to, as for profit banks are too large and obviously don't care about how inconvenient and unfair they are to their customers. A year ago I went into a branch to deposit a paycheck on a Friday morning. It was within business hours and I specifically went to a banker rather than to the ATM as I wanted the funds available immediately to pay rent and if there were any 'concerns' or holds or whatever ridiculous things they seem to randomly do when you let them hold onto your money I wanted them handled right away. I was assured everything was great and no problems. First mistake was trusting someone who worked for Wells Fargo. Later when I still couldn't pay rent I called Customer Service wonder what was up. Evidently Wells Fargo isn't legally required to recognize deposits on Friday of any kind, so they simply don't. It wasn't that they were busy and couldn't get to it, they just aren't required to by the government so don't feel like it. Nothing I could do. Two grand in the bank from a payroll check and I couldn't use a dime and had to go the whole weekend without any money. Customer service even told me i should have deposited in the ATM because that would have been fine and it probably would have been automated, so it was my own fault for seeing a live person with the expecation that would avoid any problems. Now I'm moving into a new apartment and spend a night picking up some new furniture. Except my bank cards not working. It stopped. I call to verify I am who I am and I am making purchases. They verify and say ok it'll work again in 90 seconds. Fine. Except it doesn't. So I have to call back again asking if 90 seconds means something different to them than it does to me. Oh sorry you've been reported to the fraud department. They're closed right now but you can call back later. What? I've called twice now verifying all my information, with more than enough in my account, and you've locked my cards and accounts for what reason? My spending my own money has offended you? Credit Unions. Find a local non profit credit union so you too can say FU to big banks who refuse to let you use your own money. Have feedback for Wells Fargo Mortgage?